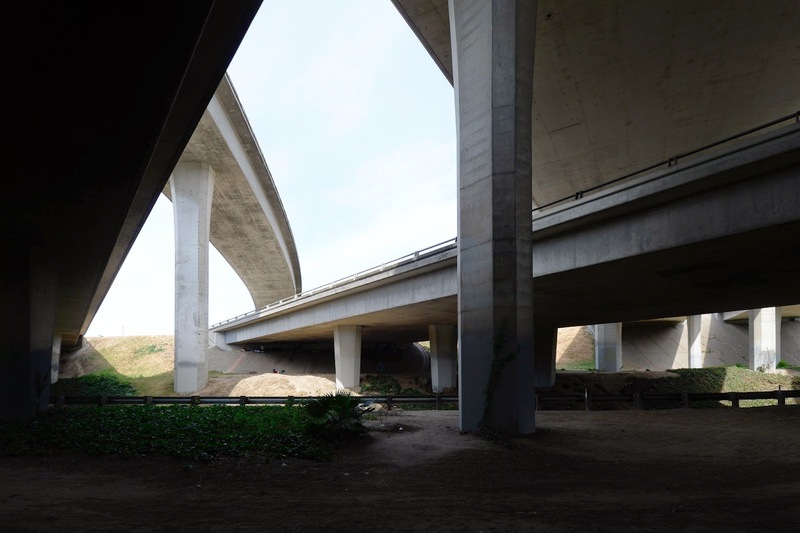 The soaring concrete forms of highway interchanges have a sculptural appearance. 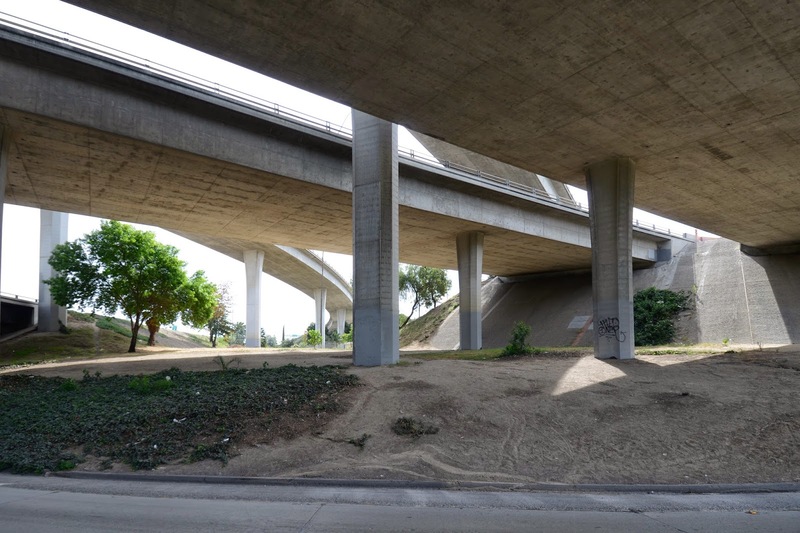 The Route 5/4 Interchange is also interesting because it provides a home to hundreds of otherwise homeless people. The separators and connectors that make up this interchange were built in 1972, near the completion of the big Interstate Highway System in the U.S. 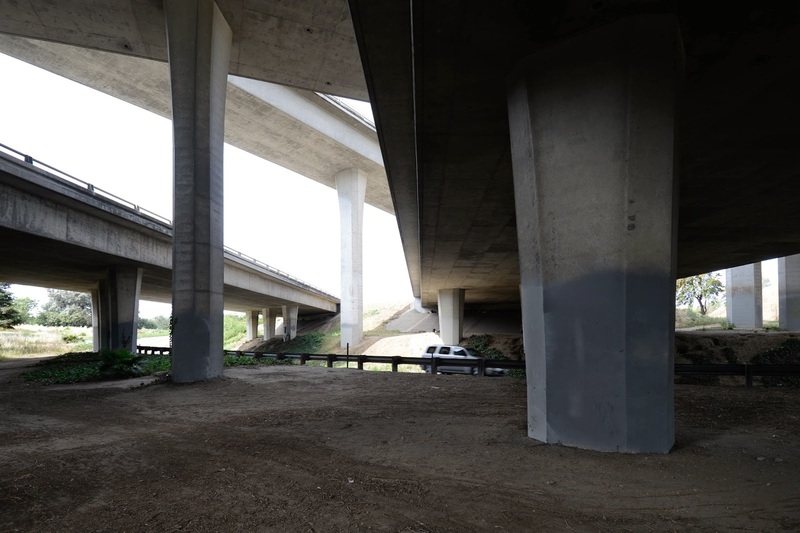 Unfortunately, this was at the beginning of Caltrans' seismic design practice, resulting in thousands of previously built bridges that had to be retrofit. 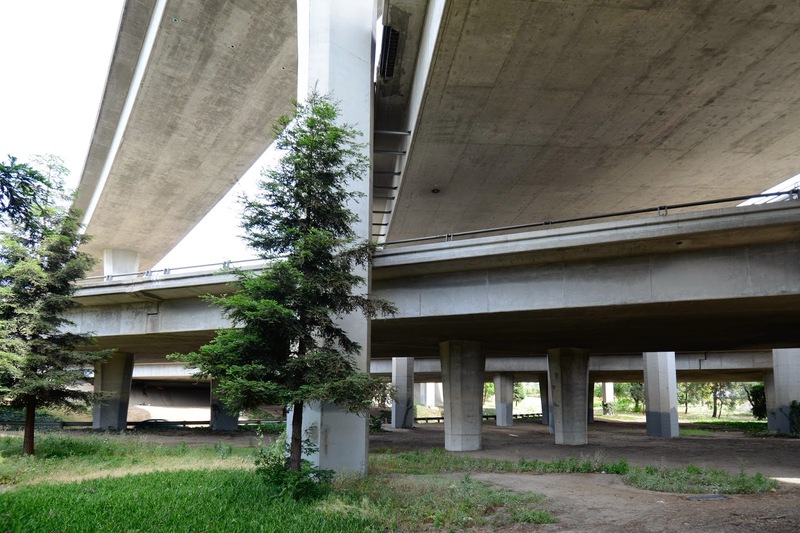 Since Caltrans practice relies on balanced stiffness between members, some of these interchanges are particularly problematic to retrofit. San Joaquin County, California Bridges: The Route 5/4 Interchange in Stockton by Mark Yashinsky is licensed under a Creative Commons Attribution-NonCommercial-NoDerivatives 4.0 International License.